"There's nothing like live timba". You hear that time and again. Why? Well for one the songs are worked to the max, feeding off the energy of the crowd. There are no constraints to deliver the tune just like it appears on the record. In fact its the opposite -everyone gets their say and time to dig into the rhythms, dancers and players alike. The arrangements deliver the hard beats and are so intricate that it takes multiple shows to really get a feel for the whole show. In the audience there is a sense of belonging and you'll see familiar faces if you go enough to notice. On stage Lazarito drives the train and moves to different instruments, most notably bass and timbales. Other musicians also switch to sub when he moves. Also surprising was the element of humor -in the coros and the songs they quoted. All this while delivering the most incredible level of musicianship. Man are they tight and in-tune. After a series of experiences like this it is hard to go back to a concert experience we are typically used to. They manage to pump so much emotion without leaning heavily on a super-tricked out show, say for example a Madonna or U2 concert with all the technology, gadgets and jumbo screens. Its just not needed or even wanted when there is this much musicality involved. And we are not talking about jazz, we are talking strictly about dance music. Get this album and listen for yourself. Audio play time 1:19:50 (hh:mm:ss:). For Mi Verdad , Lazarito Valdés returns in full force on a new label with new singers. Tania Pantoja is absolutely incredible and in control of the audience. The other singer Ronny is also extremely talented. Both are backed by violinist and corista Yosvany Valdés. Very funky & jazzy timba with no compromises for the dancers....the shows covering this record are the top concerts at the Casas de la Música...every matinee packed. Highly recommended. Musical guests include Lázaro Valdés (father), Oscarito Valdés and Amadito Dedeu from Clave y Guaguancó. This is the studio album from which our Bamboleo Live release is based on. 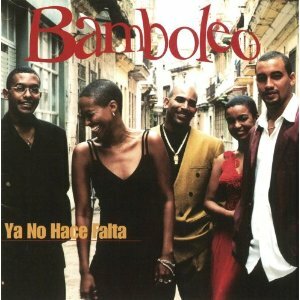 The addition of superb vocalist Tania Pantoja has allowed Bamboleo to reclaim the #1 spot in Cuba. Strong timba with R&B, Soul and Funk infusions set them apart. 200x - El virus - Since leaving Ahí na' má Records, Bamboleo has not released an official CD, but they have done a CD's worth of demo tracks which can be purchased in Havana in various forms. 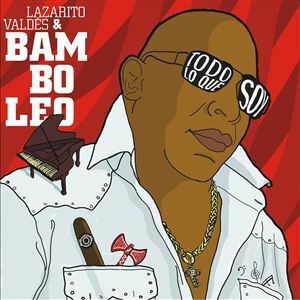 Several songs, including El maiz, No puedo estar sin ti, and El virus, are as good as anything Bamboleo has done. 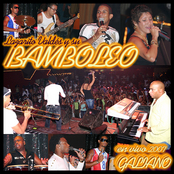 Bamboleo has had several complete turnovers of singers and rhythm section players since 2000. They've also dabbled with reguetón, other trendy recent styles, and the Manolín-derivative writing of Alain Daniel Pico, who sang and wrote for the group for several years. Nevertheless, Lázaro still seems to have plenty of life left in him and I expect more great music from Bamboleo in the next few years. For now, though, the 2nd, 3rd and 4th Ahí Na' Má' CD's are guaranteed to provide endless enjoyment. The fourth CD on Ahi-Nama is ññño! . It has four extended live tracks which beautifully capture the thrill of a live timba concert and include the many sophisticated arrangement elements that can Bamboleo uses in its extended live performances. Filling out the disc are a number of hip-hop remix experiments. Even if you never listen to any of these, the four lengthy live tracks make this one of the most important timba CD's. After Haila, Limonta, Gonzalo, Vargas, and Espinosa departed for Azúcar Negra, Valdés brought in Yordamis Megret, and Labarrera, although his songs are featured, was replaced by NG La Banda alumnus Jorge "El Gafas" Rodríguez. At least as great as Yo no me parezco a nadie , Ya no hace falta is slihgtly less inspired compositionally, but it's a big leap forward in terms of the sophistication of the rhythm section arrangements and the raw fury of one of Timba's most explosive rhythm sections featuring the additions of Rafael Paceiro Monzón on bass and Duñesky Barreto on congas and the return to the separate drummer/separate timbalero approach with the addition of Herlan Sarior on timbales. All told, I would have to say this is Bamboleo's most satifying and complete album, although " Ya no me parezco " and "ñññño!" are also absolutely indispensible parts of any timba collection. The second CD, Yo no me parezco a nadie was a masterpiece. All most all of the material was written by the great Leonel Limonta , who had written a number of hits for Charanga Habanera and Issac, and who would later leave the band, along with Haila Mompié, to form Azúcar Negra . Moreaux was replaced by the the phenomenal young Ludwig Nuñez, who stayed with the band until 2005. José "Pepe" Espinosa played with the band on timbales, but, although he's listed in the credits, left the band before this CD was recorded. Osvaldo Chacón was replaced by two male singers: Rafael Labrrera (son of LVV's Manolo), who would do much of the writing on the third CD, and Alejandro Borrero, who stayed with the group until 2004. The Abreus were replaced by Andrés Gonzalo on congas and the brilliant Rafael Vargas on bass, who wrote several brilliant arrangements for this album and later for Azúcar Negra. 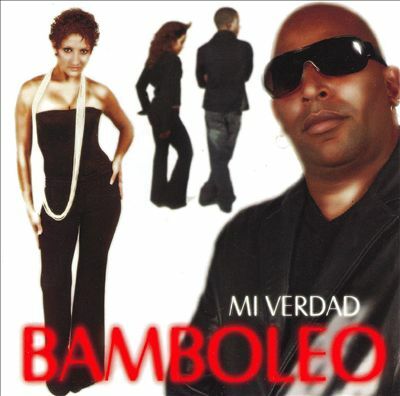 The first Bamboleo album, Te gusto o te caigo bien combined Vannia and Haila with singer Osvaldo Chacón, also a talented writer, who went on to sing with Paulito FG, and is now living in England. 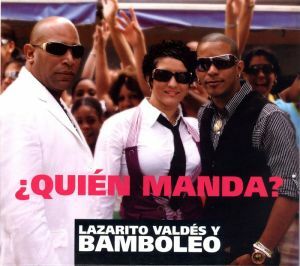 In 2001 he released "A la buena sí" which features several of the greatest ex-members of Paulito's band: Joel Domínguez, Joel Paez and Yaniel "El Majá" Matos. Also part of this first incarnation of Bamboleo were timbalero Gilberto Moreaux, who later played with both Charanga Habanera and Charanga Forever, and the Abreu brothers, Luis and Alexander on trumpet and bass, who later went on to form Sello LA.